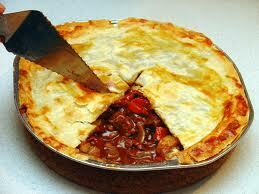 Energy Management: Humble Pie - A dish best eaten fresh ! The following is verbatim an e-mail I sent today (only the names of the innocent are removed - you know who you are) ! Humble Pie - When Nothing else tastes good! We all get it wrong - it seems I am a Master on occasion - enjoy the following painfully true story that follows from my failure to make a transatlantic conference call last night ! To set the scene - and in my defence, since I married my wife I have overlooked her birthday only once. This happened of necessity in a leap year and on a leap day - so nobody could justly accuse me of having fallen into a habitual fault - but I suppose there is " room for improvement ! " Yesterday was not the 29th February - so "what gives ?" you might reasonably ask! As you can imagine my dear and lovely wife is now sensitized to me putting work first and can even enjoy watching me squirm when I embarrass myself socially with an oversight. Who am I to deny her this pleasure ? Obviously my dear wife could not claim that an eighth anniversary is a "particularly important one" - but do you see the implication ? Yes on the "remembering birthday" Key Performance Indicator dashboard that she uses as a management tool - I enjoy a full 50% score - only in 2016 do I get the chance to lift up it to 66%. These facts surfaced in my consciousness (with a little judicial prompting by my wife over coffee - I confess ) moments before I had scheduled to meet with you both on-line. I hope you understand that pleasure at seeing my best man (after three years) and getting to know his young sons together with a need for a sprightly re-alignment of plans - led to me completely overlooking prior commitments to you both. So I hope you can accept my sincere apologies, and allow me to re-schedule. My wife says I owe you both ! To complete my humiliation do feel free to share this - if it entertained you. Eight years and counting - the shortest of my life !